Lamrani shows how media conglomerates distort and misrepresent life in Cuba especially around human development, internal opposition, and migration. 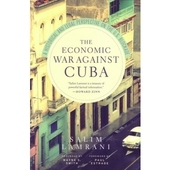 Small but perfectly formed, the follow up to ‘The Economic War Against Cuba’ is ostensibly about the media and Cuba but Salim Lamrani, Professor of Latin-American Studies at the University of Paris-Sorbonne, has actually produced a stunning reference guide which clearly exposes just how maligned Cuba is in the press around the world. In doing so he raises vital questions about the condition of the fourth estate and demonstrates how ideologically selective quotation and doctrinarian censorship works when the facts get in the way of an editorial line. By looking at the self-proclaimed “truthful and nuanced” Cuban coverage by Spain’s influential daily publication, El País, he forensically deconstructs all the stale canards and lies about Cuba that are routinely peddled around the world. Comprehensively referenced with more sources than pages, Lamrani examines El País’s handling of a range of issues from daily life in Cuba, health and education and whether or not Cuba is open or capable of change. He also takes full on those ‘difficult’ subjects such as the issue of human rights, dissidents and the real Yoani Sanchez. Weighing truth against the reportage, Lamrani’s book digs deep into many allegations. He compares claims made against Cuba with actual facts drawn from internationally respected sources such as Amnesty International, United Nations and the World Health Organisation. He shows how El País chooses to ignore Washington’s declared policy of regime change in Cuba and how Cuban internal dissidents receive vast public funds from the United States government. The universal significance of the media’s orchestrated misinformation and vilification of Cuba is because the process of transformation initiated by the 1959 revolution is an example to the world. It called into question the previous social order and its established structures, challenged the supreme power of money and showed that resources can be allocated to the majority and not a few. 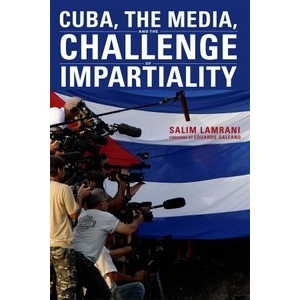 Cuba, the Media, and the Challenge of Impartiality is a quick, easy, and compelling read, full of Lamrani observations backed up by unassailable facts. 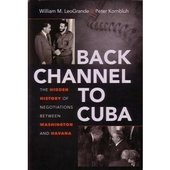 It is a book that anyone wanting to understand Cuba should read, but also those who are concerned with the integrity of the media, its role in shaping public opinion and its place in a truly democratic society.